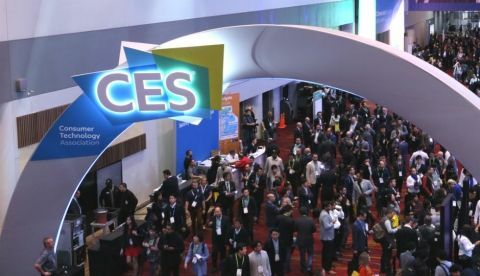 Every year in January, the city of Las Vegas plays host to the Consumer Electronics Show, a platform where thousands of companies come to showcase what new tech they have to offer. The show spans three massive venues and features over a thousand exhibitors present during the show days. So to make things easier, here is a quick guide on what major announcements we expect at CES from some of the brands that we’re all very familiar with. Every year, LG takes the opportunity offered by CES to showcase their biggest innovations in the television space. Last year, the company showed off ‘The Wall’ and a rollable LED TV, both of which are aspirational TVs even for the 1 percent. This year, however, we expect the company to take things up a notch and show off their new 8K television sets. Alongside that, we do hope that they have some more insane television technology to show off, like a transparent OLED. Sony is scheduled to host a press conference on January 7 to announce several new devices. A part of that announcement is expected to include new smartphones from the Japanese manufacturer; namely the Sony Xperia XA3, Xperia XA3 Ultra and Xperia L3. Sony traditionally has also used CES as a venue to showcase new image processing chips for their televisions, the current one being the X1 Ultimate. We also expect Sony to show off new products in their headphone and earphone categories, particularly for the Xtra Bass series and the truly wireless series. Panasonic is expected to have a big year this time at CES. While we expect the company to definitely showcase new TVs, especially ones with OLED technology, the show-stealer this time around could be something else altogether. Panasonic last year had made huge waves when they announced that the company will be releasing a full-frame mirrorless camera in 2019. The Panasonic Lumix S1 and S1R are full frame mirrorless cameras from a company that spearheaded the micro four-thirds format. We expect Panasonic to show off the cameras at CES this year followed by announcement of availability. In line with LG, Sony and Panasonic, Samsung at CES is also expected to show off new televisions, most likely in the 8K resolution space. Samsung is also expected to show off something in the autonomous driving space. Rumours have also suggested that Samsung may show off a prototype of their foldable smartphone at CES, and if that is the case, we will definitely be bringing you in-depth coverage of it. AMD is rumoured to announce the Ryzen 3000 series and the Ryzen 9 CPU with 16 cores and 32 threads during their keynote at CES. We do know that AMD CEO Lisa Su is speaking at the AMD keynote, giving the rumours some ground. Nvidia’s press conference takes place on January 6, two whole days before the official start of CES. During their keynote, President and CEO Jensen Huang is expected to unveil the Nvidia GeForce RTX 2060, a GPU that has been the subject of many-a-leaks over the last few weeks. For Dell, CES is the biggest expo of the year. 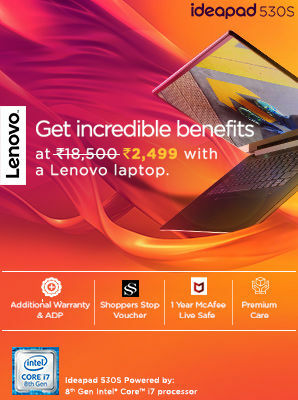 The company takes the time to showcase a lot of new products spanning their desktop, laptop, accessory, peripheral and even Alienware product lineups. As such, we expect Dell to show new gaming laptops under their Alienware brand, along with the announcement of an annual refresh of most of their product lines. Last but in no way the least, there’s Razer. Microsoft had announced that the company would bring keyboard and mouse support to the Xbox One console through an update in November 2018. Additionally, the company also said that while most existing keyboards and mice should work with the console (when used on supported games), Razer would be releasing the first keyboard and mouse designed specially for the Xbox One. Razer had recently teased through a dedicated website that the keyboard and mouse would be shown off on January 8, the first day of CES. We also expec to see a massive focus on health related products, car-tech and 5G technologies to be showcased at CES 2019. These are only a fraction of the announcements expected at CES 2019. We will be reporting live from Las Vegas, make sure to stay glued to our website and social media handles for exhaustive coverage of the world’s biggest electronics expo. An 'unmanned' Tesla Model S apparently knocked over a robot and killed it, or did it?